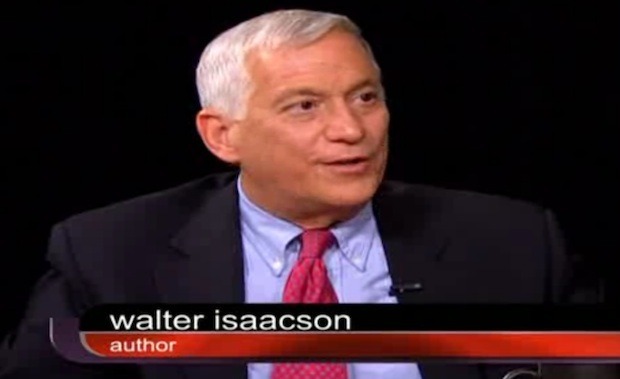 Walter Isaacson was on Charlie Rose this week to discuss Steve Jobs and the writing of his biography . If you’re interested in Steve Jobs and his legacy, this is another great interview filled with interesting tidbits. It’s arguably better than the recent 60 Minutes segment and at nearly an hour long, touches on a fairly wide variety of topics related to Jobs. The discussion between Isaacson and Rose also clarifies some of the soundbites that you’ve undoubtedly heard related to Mr Jobs cancer treatments, the reason the book was written, the naming of Apple, and what other industries that Steve would have likely disrupted had he survived another 7 years (including one I haven’t found mentioned online… yet). This is the second recent Charlie Rose episode to cover Steve Jobs, the first being a discussion on Jobs with various Silicon Valley executives and friends just a few days after his passing. I caught this Monday night, it’s the best interview with Isaacson I’ve seen yet since it isn’t controlled or edited.